See below the answers to the most frequently asked questions here at Unique. They include explanations of the terminology you’ll see used on our website and quotation documents, information about payment terms and service expectations, brief overviews of how our security systems work (non-technical), and downloadable user manuals. Are you an accredited fire and security company? Unique Fire and Security Ltd is both BAFE Approved (British Approvals for Fire Equipment) and SSAIB Approved (Security Systems and Alarms Inspection Board) ensuring any work carried out by us will be carried out in compliance with current British and SSAIB Standards. A certificate of compliance will be issued to the required Fire and Security scopes on completion, ensuring you that the installation and on-going maintenance has also been certified in accordance with ACPO Policy (Association of Chief Police Officers), which is supported by insurers. Visit our About page for full accreditation information. How long will it take to install a new alarm system? Timing depends on the size of the system and the number of devices installed. Usually though, a standard alarm system on a three bedroom house would be installed within a day and larger installs in commercial properties can take multiple days or even weeks. In terms of service timings, from the initial survey date you should expect a valid quotation within one working week and we’ll usually book the installation or maintenance jobs in for within two weeks from the signed acceptance from the customer. Depending on our availability, we can cater for emergency repair callouts and takeovers following break-in if necessary to be agreed upon initial contact. What kind of service can I expect from Unique? Great service to all our customers is a top priority for us here at Unique. You can expect a professional yet personal service from all of our staff; we’re always available on the phone, be it with advice through the sales process, answering your customer service enquiries or needing to speak to an engineer directly. All our staff are product experts with well-trained knowledge on installations to give you the best advice every time. Due to the nature of our custom installations, payment is split 50% to be made on acceptance of the quote with the remaining 50% balance on invoice after completion. For data privacy and fraud concerns, we don’t take card payments over the phone, so via bank transfer (BACs) or cheque is accepted at present. We are, however, in the process of integrating online payments on our website and card machines on site for our engineers. Payment plan options are available on an individual basis and are to be discussed with management staff. Prices stated on our quotation documents are valid for 30 days and exclude VAT which will be applied in accordance with legislation applying at the time of completion. How do alarm systems work exactly? The most popular form of confirmation on a professionally installed system. Occurring when two different detection devices activate within a short period of time. This is usually a door contact first and then an interior motion sensor. Using microphone technology in the alarm panel, small but sensitive microphones enable the ARC to listen for suspicious noises. For privacy, the microphones can only be active when the alarm is sounding, meaning the operators in the monitoring centre can listen to all activity for gathering evidence throughout a break-in. This is an effective way of definitely confirming intrusion when your CCTV Camera System is linked to the ARC with the whole home security system so the video footage can be watched live. A valuable asset to have especially if your home is unoccupied regularly for long periods of time. Can you explain alarm terminology please? A control centre with a team of people monitoring signals from alarm systems connected to it. The ARC uses confirmed detection to verify that an alarm has been activated by an intruder and on confirmation will contact key holders or the police depending on the type of monitoring in place. The primary controller of a security system that houses all the two-way wireless communications that offers protection with up to 32 wireless detectors and it’s where you would find a keypad to set and unset the alarm with a code or key fob. Often called PIR (Passive Infrared) sensors, are electronic motion sensors that detect heat energy from people as soon as they enter a room with a coverage of 10 metres and pet-friendly options too. And Window Contacts are magnetic surface mounted detectors that will set the alarm off upon opening of the door or window. This is the time between disarming and arming the system before the alarm triggers an event. Most systems are default to 30 seconds. The branded bell box on the exterior of a house that’s not only a visual deterrent but it sounds the alarm with a distinctive warning when activated along with a LED flashing light. The bell box includes tamper protection in the event of sabotage. A 4-button miniature wireless ‘clicker’ that attaches to the user’s key ring for ease of use arming and disarming the security system’s control panel. They can be used as personal emergency alarm and to part set. Usually integrated in the control panel but can also be separate to type in your password or pass code number and to diagnose any faults with the system you can resolve them using this. The main numbered password that the homeowner uses to arm and disarm the system at the control panel or keypad. Is what the engineer does on the system which is inputting system specific settings for the alarm panel as per the customer, like naming zones, part-setting requirements, keywords etc. Refers to an area of the home (a room or floor) as it is seen by the alarm system control panel. This type of area is generally determined by numbers and is mapped out by alarm components like the detection devices in particular areas of the property. How do CCTV Camera Systems work? The type of cameras we install at Unique are called IP HD CCTV cameras, these are individually wired cameras which have their own IP addresses to connect to a network like Local Area Network (LAN) or secure wireless internet (WiFi). Through the network, the camera can stream live video directly to a Network Video Recorder (NVR) that can be logged in to by a smart device or PC remotely from anywhere in the world. Can you explain CCTV terminology please? All of our cameras are HD as standard, meaning no pixelated unrecognisable CCTV footage. A minimum of 4 megapixels and 1080p definition means that people are much clearer and actually identifiable on our camera video footage than the traditional analogue systems. Is the way that data is sent from one computer to another via the internet. Basically means that an individual IP address is assigned to the device so it can connect to a network. Is a type of low frequency electromagnetic radiation with longer wavelengths than those of visible light, so is therefore invisible to the naked eye. Infrared technology is used in surveillance cameras to provide a light source to record images in night time / zero light conditions. A pixel is the area on the surface of the imaging device and is made from photosensitive material which converts light into electrical energy. In a screen monitor, a pixel is referred to as an area on the surface of the screen which converts the electrical energy to visible light. A megapixel is a million pixels and the more megapixels or bigger megapixels on a camera sensor then the better the image quality. Higher quality recording does mean more storage needed for the NVR. Is the screen display like a computer monitor that will house the NVR software and linked to the cameras to watch the footage back. This refers to a camera that is designed to record pictures and transmit them directly over a computer network or internet connection. Network cameras normally do not have any analogue video outputs. A network video recorder (NVR) is physical hardware that houses a software program that records video in a digital format to a disk drive, USB flash drive, SD memory card or other mass storage device. An NVR contains no dedicated video capture hardware, the video images sent from the IP cameras are compressed and converted into viewable recordings on the NVR software. PTZ cameras are mounted to allow movement in both the pan (horizontal) and tilt (vertical) which gives greater coverage of an area. These cameras will also zoom in to the detection location if activated by an intruder, for example. Means that we setup link between your smart device, PC, or laptop to be able to view the live CCTV footage or recordings on playback mode. Essentially, being able to access your cameras remotely. The provision of an engineer on standby for 24 hours a day, 7 days a week, 365 days a year should you ever need one. Free remote diagnostics of the system should it happen to go into fault or needs resetting after a power cut for example. This saves time and reduces call-out charges. Free telephone support from our service staff during office hours to help assist you with any system queries. What is alarm monitoring exactly? Having the alarm system monitored means that there’s a more efficient way of taking action when your alarm is activated than the standard text being sent from the system to inform the owner of activation. If you choose to have a more efficient form of monitoring we will link your system with our Alarm Receiving Centre (ARC) who will be instantly notified of a confirmed activation via DualCom signalling over radio GPRS ideal when there’s no telephone line available. The ARC will inform a chosen key holder to respond or for better security to set up police response so they are dispatched to attend site if it’s a confirmed activation. 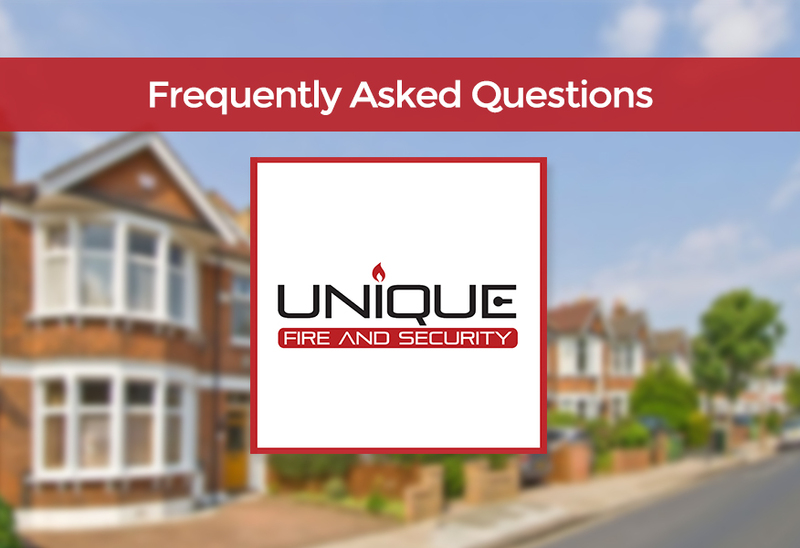 Read our full explanation on monitored alarm systems here. Do alarm systems reduce home insurance costs? The presence of an alarm system has the power to deter intruders, either by putting them off targeting in the first place or once activated causing them to flee the scene. So, most insurance companies will pass a discount on to their customers who have an active Burglar Alarm System on their property, especially if it’s installed by an approved company like ourselves, if it’s monitored by an Alarm Receiving Centre (ARC) and certainly if there’s police response monitoring active. Please note, if you have an active Burglar Alarm System listed on your home insurance documents and it’s unalarmed when the property is broken into, the insurance claim could be invalidated by the insurer.